In 1851, Mid-Victorian Bridgwater had a population of not quite 10,000 but it was a thriving port with tall masted ships sailing right up to the town bridge and a dominating industry of brick and tile making. The new docks had only been completed 10 years earlier (built between 1837-1841) but this and the towns connection to Taunton by the Canal (completed in 1827) made Bridgwater an industrial hub of the first degree in 19th century Somerset. Bridgwater businesses competed to drive their industrial revolution forward and it was one of their number, John Board, who was an innovator and experimental pioneer in the development of reinforced concrete, which would later change the world. In 1851 , as a showcase for this new model of construction, he designed and built what became known as Castle House in Queen Street, but was then known as Portland House, due to the cement used. But Castle House is also important because it provides an important link in the history of construction technology between traditional building materials and methods such as lime, timber and masonry, and ‘modern’ cements, reinforced and cast concrete construction. John Board’s development of his own Bath, Portland and Roman varieties of cement, combined with his expertise in brick and tile manufacture led him to explore the potential of pre-cast and in-situ concrete. The reinforcement of his extraordinary floor and roof constructions with iron was revolutionary and the house demonstrated the versatility and potential of concrete. Castle House is one of the earliest surviving examples of the use of prefabricated concrete and constructional post-tensioning in the world and an important monument to Victorian inventiveness and ambition. And it’s right here in Bridgwater. Castle House was built as a family home – and of course also a ‘show house’. John Board founded his firm Board & Co in 1844, but Castle House was in fact built not for his family, but that of Mr William Ackerman. The front elevation was very ornate and composed in the manner of an early Tudor gatehouse. The ground-floor walls were constructed in brick with pre-cast concrete facing panels, and the walls of the first floor were of solid concrete blocks simulating rusticated jointing. The upper parts of the parapet and mock battlements were rendered brick. Above and below the first floor friezes formed of perforated pre-cast concrete blocks were supported by pre-cast concrete corbels, while projecting concrete drip cills protected the base of the parapets, both friezes and the plinth. The windows were mullioned and transomed 2-light casements with head stops to label moulds. Canted bays to the sides form stair turrets, to front of which, on both floors and attic, where niches with depressed-arched heads, originally housed painted concrete statues; one of them, a lifesize model of Napoleon Bonaparte (well he was about 2 feet tall wasn’t he?) was in place until the 1990s. The two innovators involved in the project were John Board (1802-1861) who extended his family’s brick company into cement in 1844, and his grandson William Ackerman who joined the company in 1871 and is credited with the first ‘true’ Portland cement. John Board’s innovative spirit was further recognised when he was selected to represent the district at the Great Exhibition of 1851. He produced six concrete figures for the Great Exhibition – the six niches at Castle House being designed to accommodate sculptures. Designed to recall the old Bridgwater Castle that once stood near Castle House, the building is nevertheless a striking gothic folly. It is a beacon of modernity (well, 19th century modernity) in Bridgwater – not only for its ambitious and advanced construction technology but also for introducing the new gothic taste that was fashionable around the time. Castle House stands out opposite the former County Court, also grade II* listed, with its impressive classic portico, and the flamboyant gothic design is framed by the restrained Georgian neighbours when seen from Castle Street, one of the most beautiful Georgian streets in the South West. In the latter half of the 20th century Castle house fell into disrepair and neglect until the organisation SAVE bought the house for £1 back in 1999 and architects Fergusson Mann were brought in to think of ideas of how to save it. 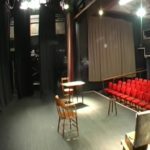 In 2004 the friends of Bridgwater based punk legend Joe Strummer, made a surprise appearance stage left and sought to revive the place by proposing it be renovated and turned into a studio for local rock musicians. They chose to do this by getting it a spot on the BBC 2 TV show ‘Restoration’ fronted by Griff Rhys Jones. On Saturday 17th July 2004 a concert was held outside Castle House in Queen Street -2 years after the man himself had died – and major figures such as Billy Bragg, Badly Drawn Boy, Damien Hirst, Julien Temple and Keith Allen (with daughter Lily in tow) mingled with the Bridgwater people on the streets producing a programme that was aired on 27 July 2004. Sadly, the programmes were little more than contests for the money available and Bridgwater lost to Sherborne House in Dorset. The idea was ditched and the Castle House put back under wraps. Castle House immediately went on the Heritage At Risk register and was clearly in very poor condition. 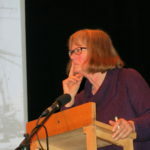 Architects Fergusson Mann started working with SAVE (this related to Save Britain’s Heritage) in 2009 to try to repair the building and find suitable new uses. In 2012, it was declared the most endangered historic building in the South West by Historic England. 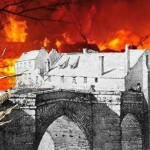 The roof had been destroyed by fire, and water was cascading through the interior and the concrete ornament crumbling. In 2018 the scaffolding finally came down and a mightily restored façade was unveiled once again to the Bridgwater public. Funding for the project had come thanks to major grants by Historic England (£400,000) and EDF Energy (£200,000) working with key partners such as architect Chris Balme from Ferguson Mann Architects, and Corbel Conservation, the contractor. The SAVE Trust is now in the position to look for a development partner to complete the interiors. Planning permission was granted in 2017 to convert the house into three flats. John Board is perhaps one of the most important figures in the history of Bridgwater, both as an innovator and experimental pioneer. His work, part of the broader effort in the development in reinforced concrete, would later change the world. Today you can find a Board/Akerman memorial, in Bridgwater’s Wembdon Road Cemetery. The monument, a Victorian-Gothic obelisk, is the tallest in the cemetery, and was recently repaired by the Friends of the Cemetery and Fine Memorials and rededicated on Friday 24th July 2015, despite heavy rain, at a ceremony attended by some 30 people including the then Mayor of Bridgwater Councillor Leigh Redman and Town Council Leader Brian Smedley. Born in 1802, John Board came from a farming family and married into another involved in lime burning after which he developed an interest in experimenting with cement production from the blue lias stone of the Polden Hills. For centuries lime had been used not only as a building material, but as a key ingredient in bricklayer’s mortar. However, John Board realised the further potential of this natural resource in the versions he created of both Roman and Portland cement. Board founded a cement works in Puriton near Dunball in 1844 and became the first pioneering experimenter of ferro-cement in Britain. He did this by encasing metal rods within cement or concrete to make a very strong and relatively cheap building material. John Board used iron rods simply because at that time Henry Bessemer was still yet to invent his Process that would make steel production financially viable. These early experiments by John Board would lead the way to the production of what we know today as re-inforced concrete. Realising the possibilities of the material he was developing, he also experimented with pre-cast building materials, decorative elements such as statues, corbels, tracery – even skirting boards. From moulds he could easily and quickly cast a feature that it might take a stonemason days to carve. 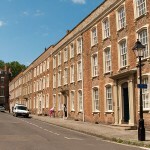 All of these experimental techniques were used in the construction of Castle House erected in 1851 in Queen Street, Bridgwater. In essence it was a show home to demonstrate to prospective customers the versatility of this material. It was also the residence of his eldest daughter Julia Savage Akerman and family and the registered office of the firm until at least John Boards death in 1862. Unfortunately for Board, although his cement business was successful, the full possibilities of his techniques and material were not realised in his lifetime and did not find full expression until the twentieth century. Considering that he died in 1862, he was well ahead of his time. He was successful as a merchant, cement manufacturer and brick and tile manufacturer and his memorial in the Wembdon Road Cemetery expressed this modest success. It had been badly vandalised, toppled and broken, so its repair by the Friends of the Wembdon Road Cemetery, carried out by Fine Memorials, means it can properly stand again as a fitting tribute to this great man. In 1851 the world was moving from the red hot furnaces of industrial revolution through the red hot furnaces of actual revolution as Capitalism and Imperialism combined to send troops of European Empires across the world in search of resources, land, people and power. Within 3 years Britain and France would be fighting Russia in the Crimean war. Only the previous year Liberal Townies and Tory Farmers had fought a pitched battle with skittles and balls in and around the White Hart pub in Eastover leading to Mayor Bob Ford reading the riot act. 1851 Bridgwater was described in records of the time thus “The town is pleasantly situated, about nine miles from the sea, in a level but well-wooded country; to the north east are the Polden and Mendip hills, and on the west the Quantock hills. The river Parret, over which there is a handsome iron bridge, divides the town into two parts. The principal part of the town is on the left bank of the river: the streets, although rather irregular, are of good width and paved; the houses are generally well built: the town is lighted with gas. The town-hall is a good building, well adapted for business. The jail is convenient in its internal arrangements. The market house (Cornhill) is a rather handsome structure, surmounted with a dome and lantern. Eastover, that part of the town which is on the right bank of the river Parret, has greatly increased since the formation of the Bristol and Exeter railway, the station of which is in Eastover. It possesses a very handsome church dedicated to St. John the Evangelist. The river Parret is navigable as far as Bridgewater for vessels of 700 tons; but it is subject, like some other rivers in the Bristol channel, to a rise of nearly six fathoms at spring tides. The flow of the tide is preceded by a head- water commonly termed the ‘bore,’ which often produces much inconvenience among the shipping. Instantly recognisable as the Bridgwater of today….well, it will be when we get our waterways functioning again! I found the information provided here very informative as I recently came across the refurbished house. Well, that’s right interesting. Makes you proud to be associated with Bridgwater. This is very interesting Brian, thanks for the information relating to the restoration of it. Having lived opposite it for a few years in Castle Street and noting the degeneration of it and wasted time and money before restoration, it’s good to see that it’s finally restored, if only externally. Maybe the council could take on the interior restoration to provide homes for those on the council waiting list?